Click the button below to add the Smart Vision 360 CV to your wish list. 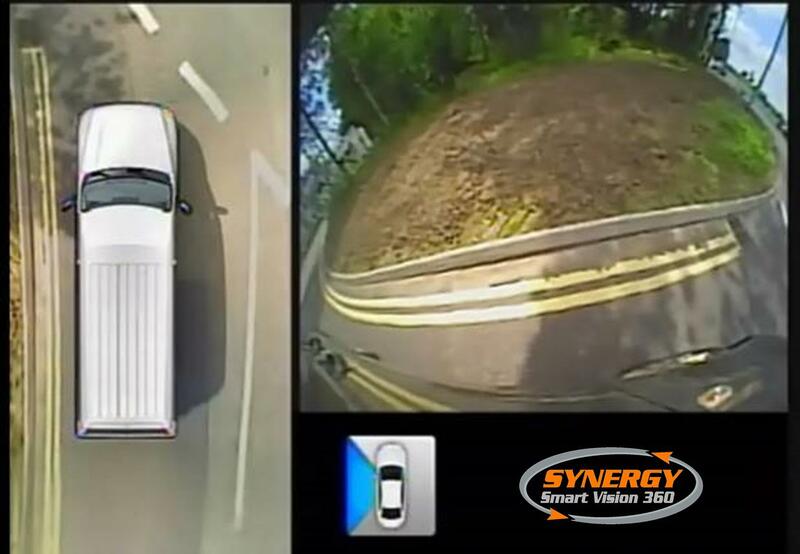 Synergy Smart Vision 360 CV: a state-of-the-art commercial vehicle 360 degree surround view camera system and AVM – Around-View Monitoring system. This innovative camera system utilises four individual wide-angle cameras mounted around the vehicle. The images are then processed to provide a full 360 degree video on your infotainment system to form a bird's eye view. Five or six different views are selectable through the control switch, some of which are automatically selected when the turn indicators or reverse gear is selected. Ideal for commercial, industrial, and plant vehicles. 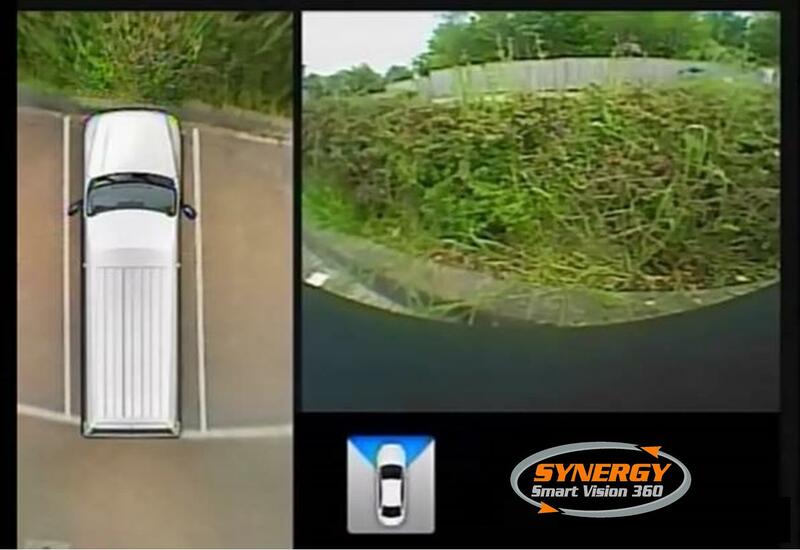 The 360° ‘Bird’s eye’ view provides the driver with a complete view of the vehicle surroundings, offering assistance when parking or manoeuvring in restricted spaces. The system automatically switches view when the car is placed in reverse gear, or when the turn indicators are used. 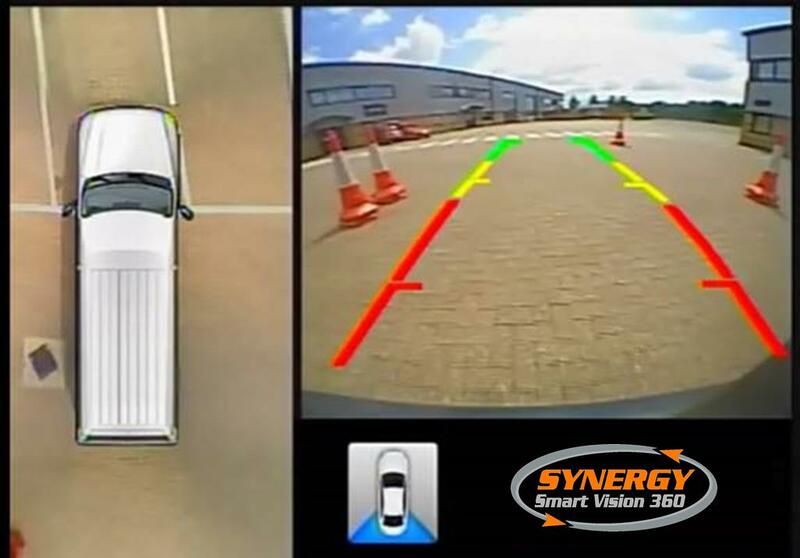 Smart Vision is especially useful when reversing into or out of parking spaces, as it offers the driver the top view combined with a wide angle rear view, to negotiate even the tightest of spaces. If required the driver can switch to a full screen view of the front or rear cameras using the control switch. When the indicators are used, the system will project the left or right camera images onto the screen in addition to the top view, providing the driver with a perfect view of hazards in the blind spots, such as cyclists and other low objects which cannot be seen in the side mirrors. This will also prevent kerbing of wheels, which can be costly.